Throughout the month of April, Cañada College’s Outreach Department and the Welcome Center successfully hosted PEP orientations for incoming freshmen from several Peninsula-based high schools. The Priority Enrollment Program (PEP) is designed to create an easy transition from high school graduate to college student. This program also allows students to have the opportunity to register during the early registration period for Summer and Fall classes. More than 100 students from our “feeder market” high schools (Woodside, Sequoia, Menlo-Atherton, Redwood and Carlmont) were in attendance along with over 50 students from Pescadero, Half Moon Bay, Jefferson, Mills, Newark Memorial and Burlingame High School. Students and parents were welcome by Interim President Jennifer Hughes and learned about her community college experience and how important it is to be involved and ask for help meanwhile being involved in programs. Parents also discovered the available services and academic programs on campus and how they can support their students to achieve academic excellence. Students attended presentations from the Financial Aid program that detailed the availability of aid at the college, loans, grants, scholarship and money management. Students also learned about the importance of joining programs including Math Jam, EOPS, Honors Transfer Program and Colts Academy. 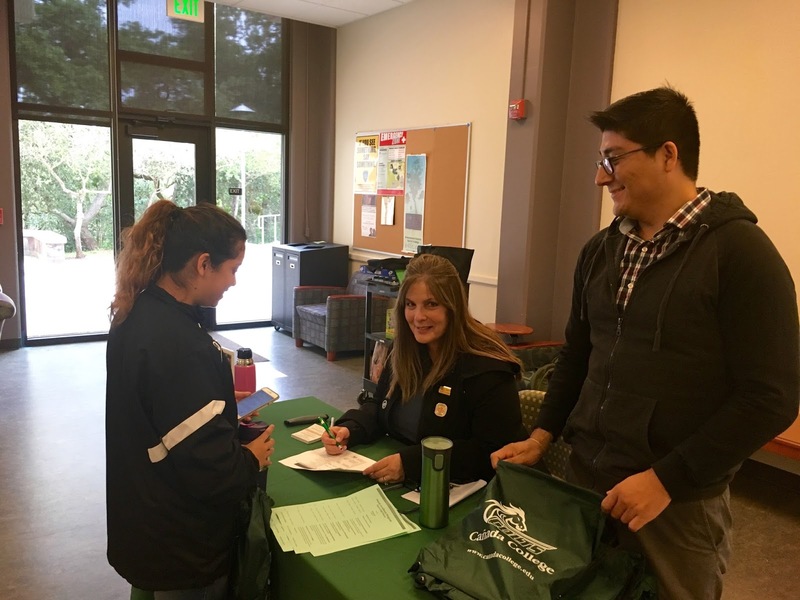 The Office of Student Life & Leadership Development and the Cañada College Student Ambassadors shared the opportunity to become involved on campus through joining clubs or student government. The success of PEP wouldn't have been possible without the collaboration of Colts Academy, STEM Center, Honor Transfer Program, ASCC, EOPS, Financial Aid and the Welcome Center. Thank you to everyone who participated in welcoming our newest students to Cañada!